All splendid things are rare. Let arms give place to the robe, and the laurel of the warriors yield to the tongue of the orator. We are obliged to respect, defend and maintain the common bonds of union and fellowship that exist among all members of the human race. 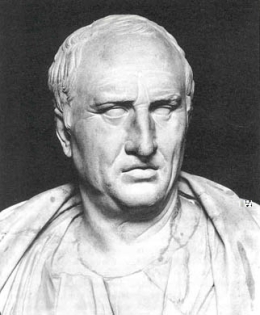 47 quotes by Marcus Tullius Cicero.